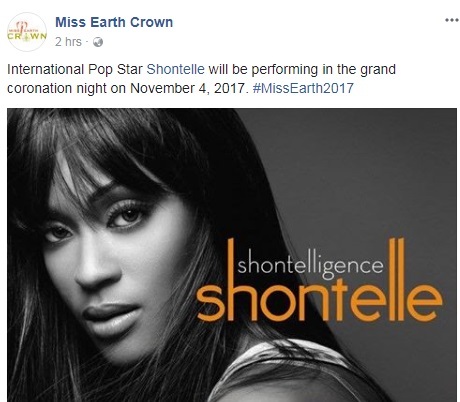 International R and B singer Shontelle will be performing at the coronation night of the 17th Miss Earth pageant on November 4 in MOA Arena, Pasay, Philippines. 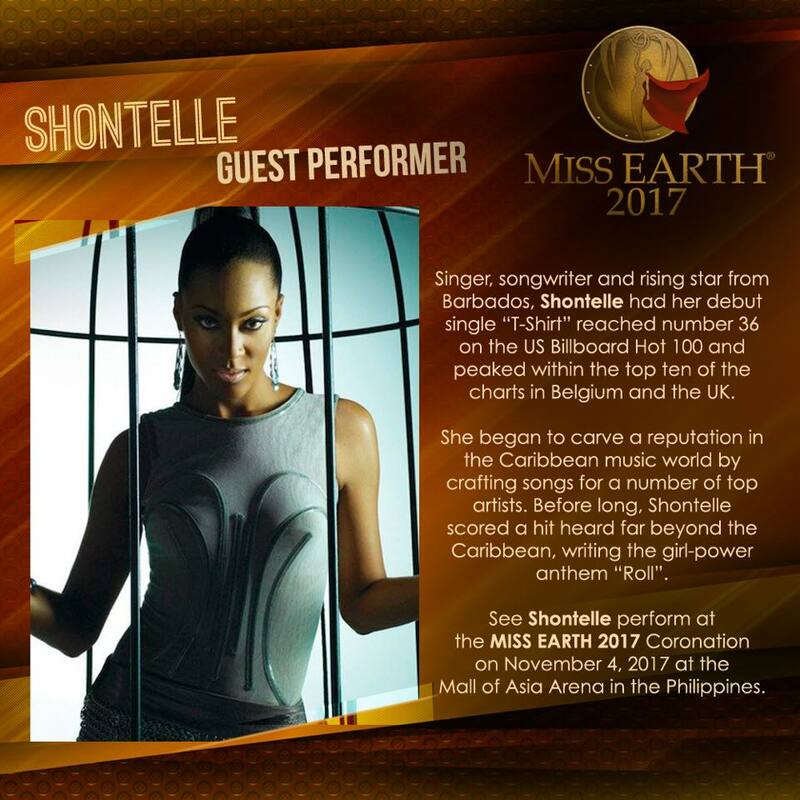 The news was confirmed Miss Earth Crown Facebook Page. Barbados-born Shontelle Layne released her debut album Shontelligence in November 2008. Shontelle's hits include "T-Shirt", and "Impossible".